Stromboli is the most interesting and untamed island of the archipelago, where volcanic activity is still present, and has been continuously for the last 2000 years. It is for this reason that the ancients called it "the lighthouse of the Mediterranean". The volcano with magnetic charm and a unique and savage personality. It is the only island of the archipelago with permanent ongoing volcanic activity, hence, the title of "Europe's only volcano in constant activity". 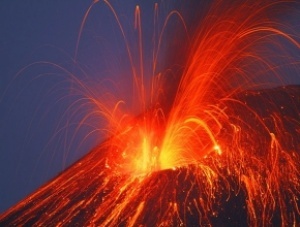 The volcanic phenomena typical of Stromboli, are characterized by continuous activity, moderate explosions and occasional lava flows. These features have given rise to the term "Strombolian activity” and are used to define analogous volcanic phenomena throughout the world. 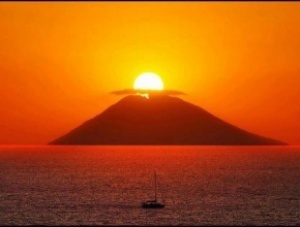 Stromboli is over 3000 meters high taking into account the submerged part, while the conical summit emerges from the Tyrrhenian Sea to a height of 926 meters. The occasional lava flows are not dangerous for the inhabitants of the island as they slide down the Sciara del Fuoco, closed off at the sides by two high rocky barriers. The Islanders do not fear the volcano; on the contrary, they consider it a kind of divine presence and familiarly call him "Iddu". Iddu is the absolute protagonist: dominating the rhythms and activities of the island. The "Strombolians" are used to living with his effusions, smoking and spectacular explosions. They even predict the daily weather variations just by observing the cloud of vapor emanating from Stromboli and closely linked to the atmospheric pressure. 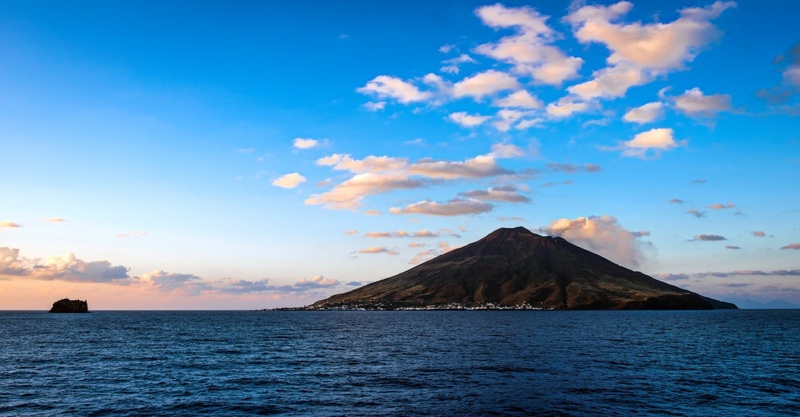 Stromboli is the northernmost of the Aeolian Islands: its territory is approximately 13 square kilometers and today has about 450 residents which live on fishing, but above all tourism.